John Jaso (0-of-4) struck out twice and left three runners on base against the Milaukee Brewers. He is slashing .267 with 72 hits in 270 at-bats. 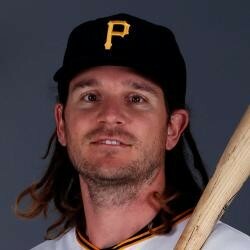 Jaso is still sitting atop the Pirates lineup, and it's why he is still on the fantasy radar. Still, with the top spot, Jaso does not hit for power or steal bases. On top of that, his total run production is still more to be desired. Keep Jaso on the wire and fade him in daily contests.